Smoky Mountain Country Club is a gated, 335-acre resort community in the mountains of Western North Carolina, an hour west of Asheville. With the Great Smoky Mountains National Park and the Nantahala National Forest at our doorstep, Smoky Mountain Country Club offers its residents a truly unique environment – we are surrounded by over 1,000,000 acres of federally protected parklands. Discover the exceptional lifestyle awaiting you at Smoky Mountain Country Club. Ask us how to make Smoky Mountain Country Club your home! responsible land use. This mountain community is unique to its surroundings with environmentally sensitive development principles in this natural environment. Home and land packages within Bartlett Glen Cove make it a great vacation rental investment opportunity for buyers. Bartlett Glen Cove has wide roads, underground utilities, and easy access. Homes include native stone fireplace(s), heated tile bathroom floors, hardwood floors, kitchen and bath granite counter tops, stainless steel appliances, beautiful upgraded fixtures,large view windows, and jetted tub(s). Relax in your hot tub on the deck of your own mountain home and enjoy life to the fullest! 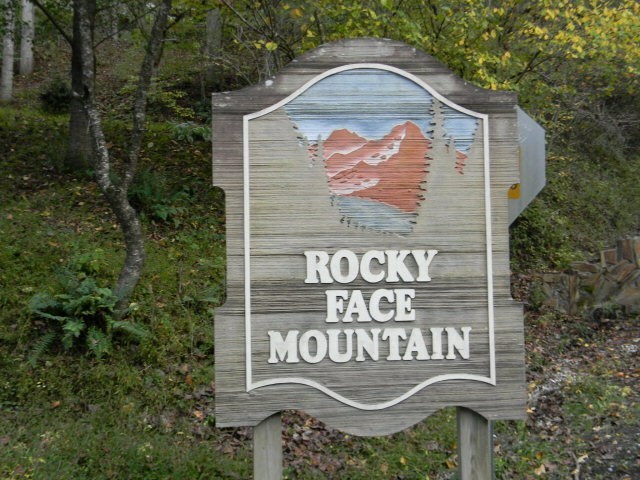 Rocky Face Mountain-subdivision, Bryson City, NC. This is the perfect spot for your dream log home near the Great Smoky Mountains National Park, western North Carolina. Fishing, boating and lots of recreational activities near-by. Western Carolina University, Smoky Mountain Center for Performing Arts, Harrah's Cherokee Resort and Casino just a few spots near-by with big name entertainment. Five minutes or less to downtown Bryson City with shopping and restaurants. Hospitals in Bryson City and Sylva, NC. Lots in this subdivision are well spaced out for privacy. Road maintenance will be $500/yr per lot for gravel and grading. Well established subdivision/good mix of year round homes and vacation/summer homes.